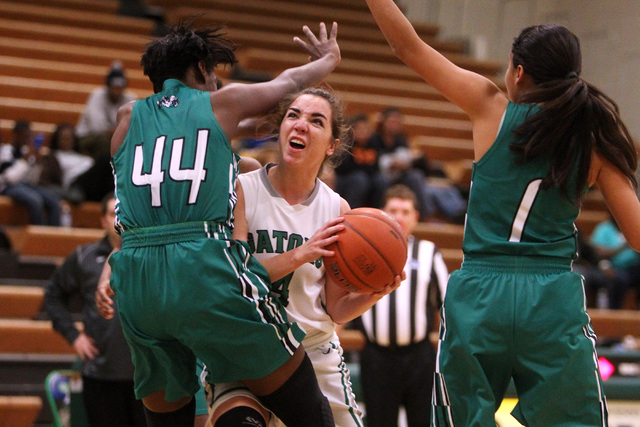 Brooke Haney isn’t normally the go-to scorer for Green Valley’s girls basketball team. 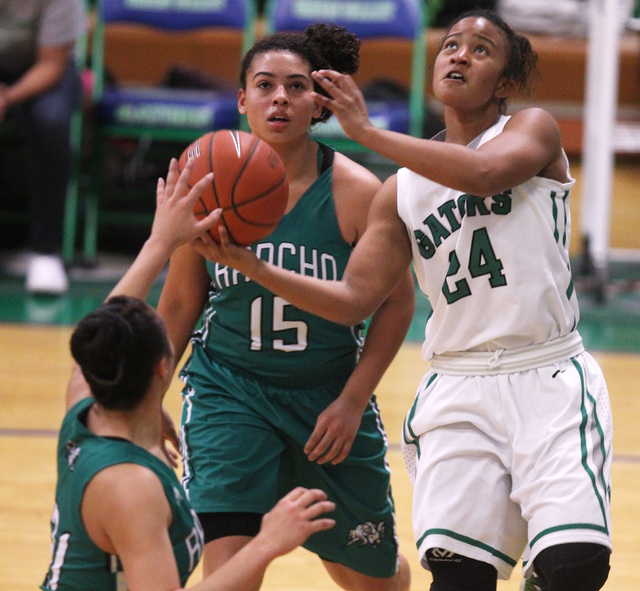 But the sophomore forward took control Tuesday when the Gators’ leading scorer — Ellee Barton — fouled out with 6:12 to play in regulation against a spirited Rancho team. 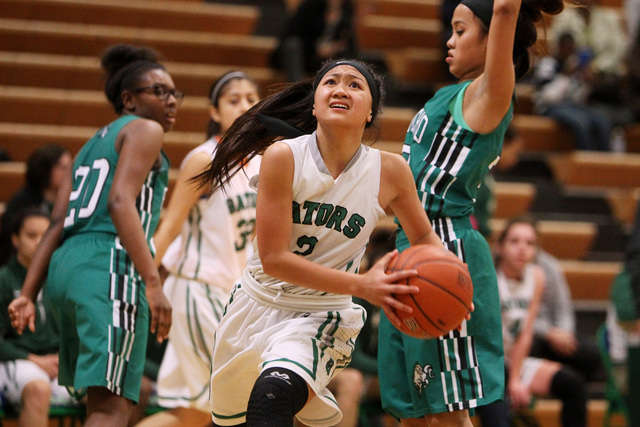 Haney scored 10 of her 12 points in the fourth quarter to lead the host Gators to a 44-38 win over the Rams. 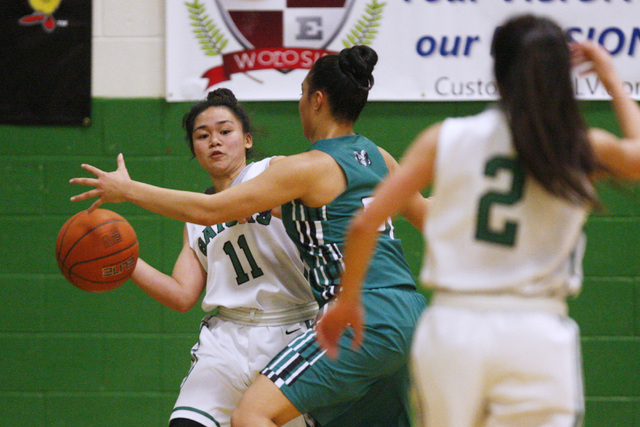 Haney, who also had eight rebounds, shot 8-for-8 from the free-throw line in the final quarter to seal the win for Green Valley (16-8, 5-2 Southeast League). The win didn’t come easily for the Gators, who nearly blew a 26-18 third-quarter lead. 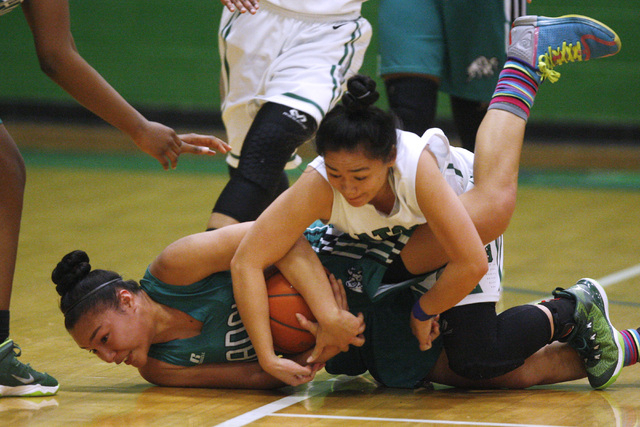 Rancho fought back to make it interesting. 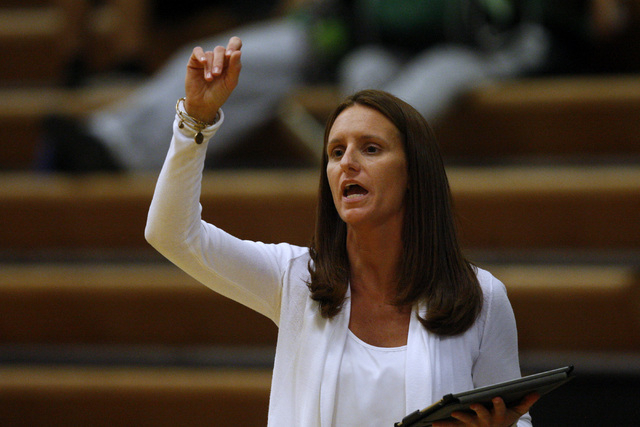 The Rams took their first lead since the opening minutes, 35-34, with 2:25 to play when Maureen Macato hit a 3-pointer from the wing. 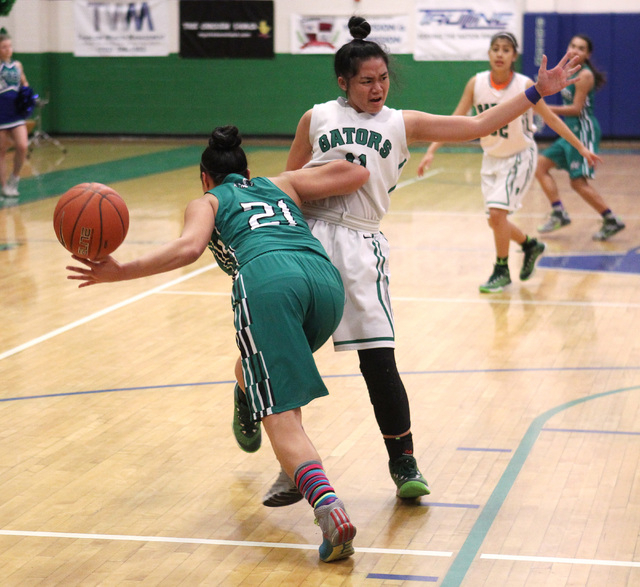 Green Valley’s Gwen Garcia answered seconds later by driving the length of the court for a layup, sparking the Gators’ 10-3 closing run. “(Garcia) has that ability to kind of hit that extra speed,” Johnston said. “And that worked out perfectly. 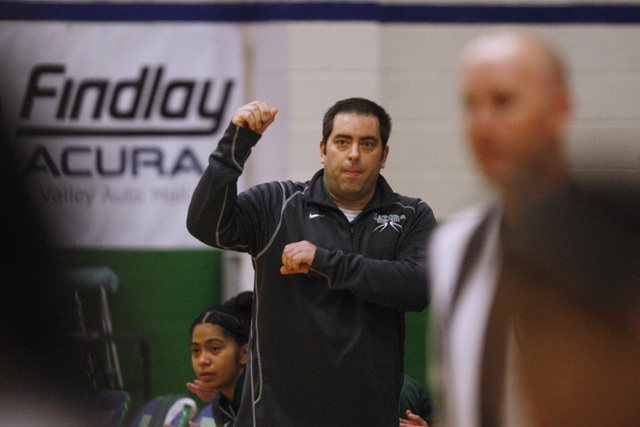 Green Valley also forced 19 turnovers. 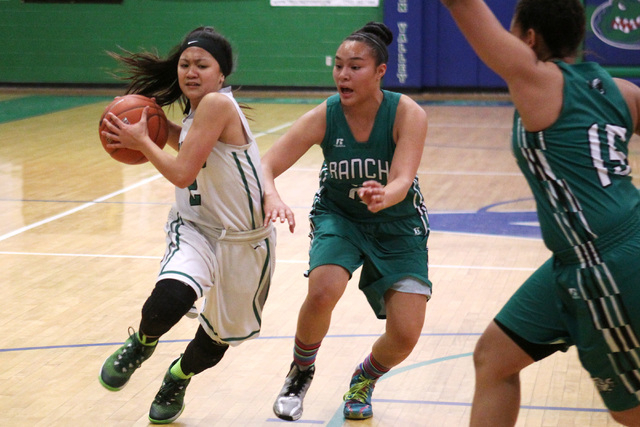 LaKissa Martin scored Rancho’s first nine points and kept her team in the game early until Green Valley switched to a box-and-one defense, limiting the standout to just eight second-half points. Martin finished with 21 points and eight rebounds for the Rams (13-11, 2-5), who suffered their third loss to the Gators this season. 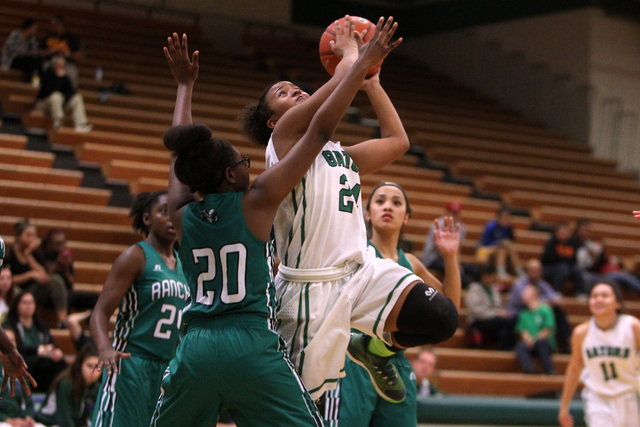 Macato added 12 points, and Jada Wilson had 14 rebounds for Rancho. Tatianna Lee also had 11 rebounds. Contact reporter Ashton Ferguson at aferguson@reviewjournal.com or 702-383-0430. Follow him on Twitter: @af_ferguson.